The Hall Fun Bunch: How could I forget? I realized I didn't write about our anniversary evening and I wanted to make sure that I don't forget it. Especially when all three kids are grumbling at the same time I need these moments to hold onto. Our kids spent our anniversary looking through scrapbooks of our wedding. Allison made us a dessert that she knew Jeremy would love. Then for TWO HOURS Spencer and Allison worked together to set up our dining room for a romantic evening. We are talking about three forks for dinner each, fancy folded napkins, Spence pulling out a chair for us. (We did have to interfer right at the end to say they needed to stop as tempers rose over how the candles should be lit - they aren't perfect). 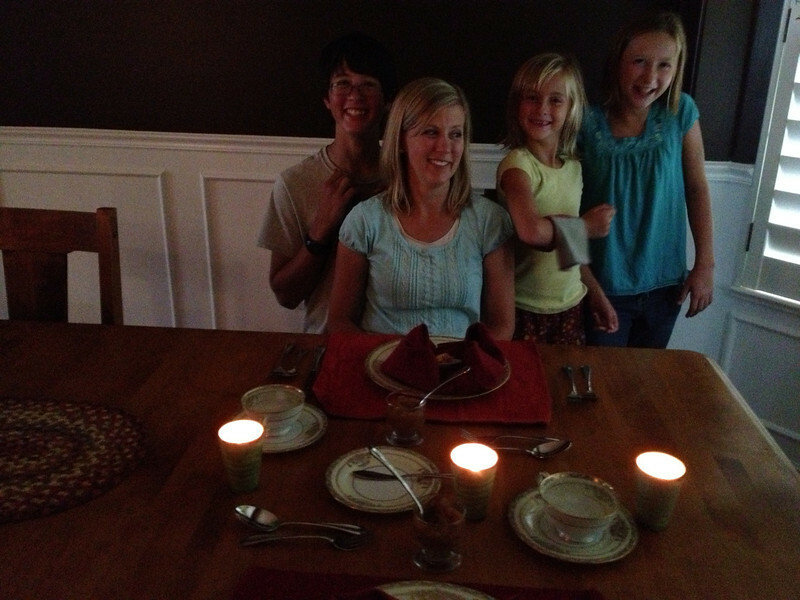 Then they sent us out to eat by candlelight while the kids served dinner. Little pieces of cheese and ham stuck onto corn on the cob skewers. Applesauce to cleanse our pallet. 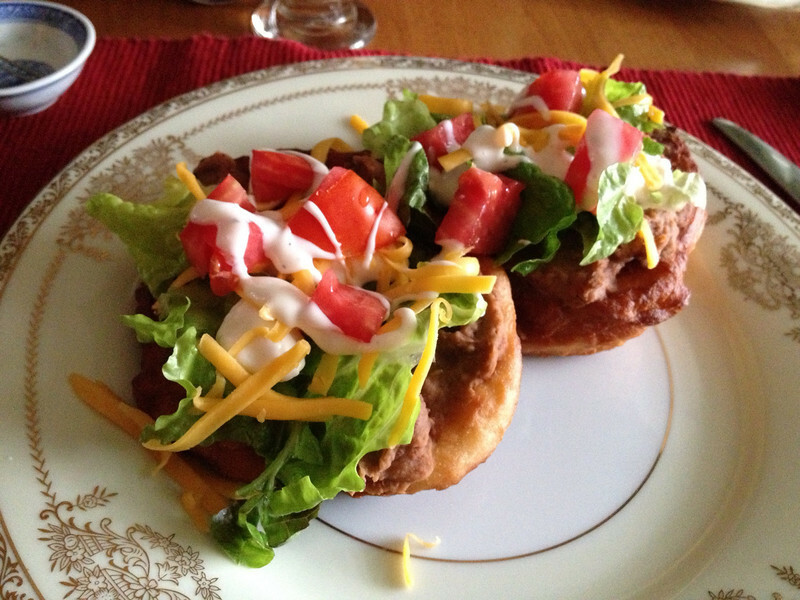 Navajo taco arranged like little pieces of art. My favorite comments of the night are what we heard in their very loud whispers in the next room. Spencer: "Remember you taste first with your eyes! Its all about how it looks". Spencer and Allison to a disappointed Robyn who hadn't been able to help much yet, "You DO get to help. You get to do all the dishes and clean up". This didn't go over so well. An hour of love and hilarity I need to remember.